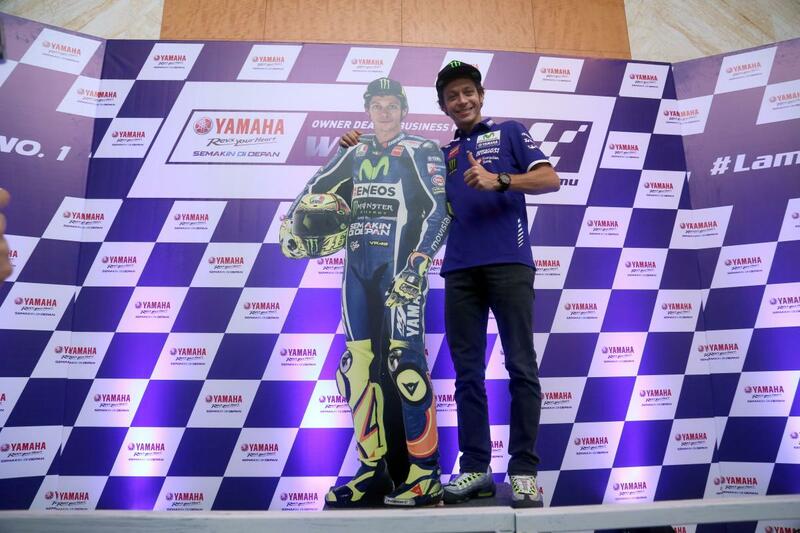 Before heading to Sepang for the first MotoGP™ test of 2016, Valentino Rossi stopped by Indonesia to meet fans. Today Movistar Yamaha MotoGP‘s Valentino Rossi was honoured for his major achievements as the face of Grand Prix racing during his appearance as a special guest of Yamaha Indonesia Motor Manufacturer (YIMM) at the annual 'Owner Dealer Business Meeting‘ (ODBM) held at The Mulia Resort in Bali. This year the event was hosted by Mr. Yoshihiro Hidaka, Executive Officer of Yamaha Motor Co. Ltd. and Executive General Manager of 1st and 2nd Business Unit, Motorcycle Business Operations; Mr. Minoru Morimoto, President Director and CEO of YIMM and Mr. Dyonisius Beti, Executive Vice President Director of YIMM. The meeting also set the scene for various exclusive premieres, such as the revealing of the Yamaha Fino 125cc, the Yamaha Aerox 125cc and the Yamaha Xabre 150cc. 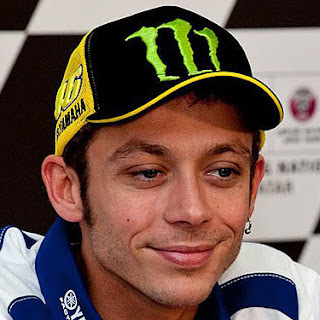 Rossi attended the press launch of the above-mentioned brand-new models, in the presence of nearly 100 journalists from all over Indonesia, before posing for YIMM new TV campaigns. This trip marks Rossi‘s second ever visit to Bali. Upon arrival at Indonesia‘s beautiful island on Monday the 25th, the nine-time World Champion was immediately struck by the Indonesian fans' support and media‘s ever-increasing passion for motorsport, making his visit all the more rewarding. He will stay in Indonesia for a few more days before heading to the Sepang International Circuit, in Malaysia, to kick off the 2016 season with the first three-day Official MotoGP™ test of the year. I met hundreds of people waiting for me and they escorted us on the way to the hotel.